The most common question that people ask us is why their results here differ from speedtest.net. I want to explain something that may help you understand why this is. Throwing away the fastest 10% and slowest 30% of the results in my opinion does not make for an accurate test. Isn't THAT the data that you're here to see? Also note this isn't only true for speedtest.net. 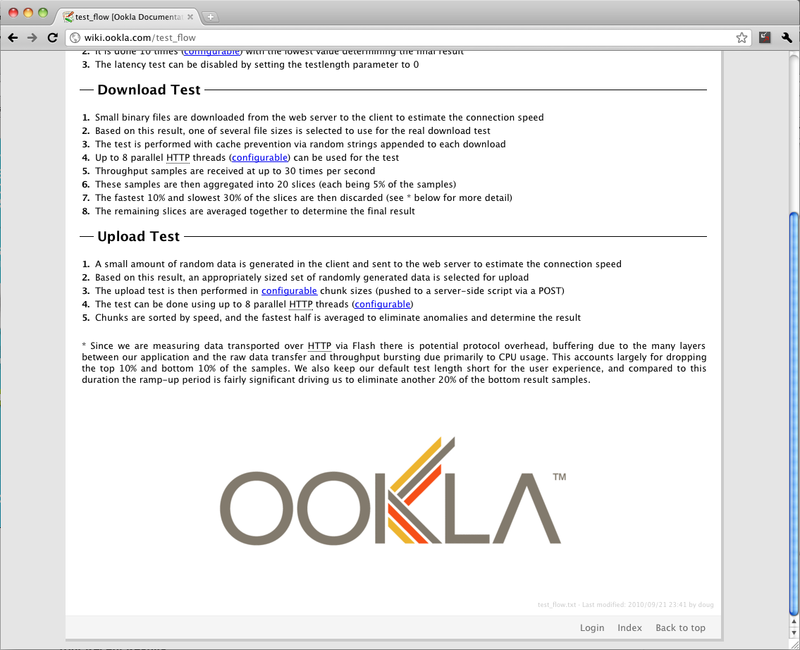 Ookla is huge, most of the speed tests online run their software. Ookla speed tests are also multithreaded. Meaning that they open more than one connection to the host and combine the speeds. This often can mask congestion issues. For instance, imagine that you have a pipe along your route that's limiting you to 10 Mbps. If you open more than one connection through that pipe you'll be able to achieve a faster speed... but testing that way will not clue you in that there is actually a problem along the route. Remember, you shouldn't have to multithread your connection to pull your full speed. Multithreaded speed tests, like the majority out there, are designed to benefit the Internet provider not the consumer. They often display your maximum throughput not your throughput over the course of an entire upload or download. Omitting the worst portion of your test resulting in inflated scores that may make you feel warm and fuzzy but aren't going to help you see and resolve connection issues. Multithreading can show that you're able to max out your connection by combining the speed of concurrent connections but a great connection can max out without having to multithread. So, if you have to multithread your connection to get your full speed, you should be asking why that is. With TestMy.net it's instantly apparent if there is a congested route. Your speed here reflects the actual loading time of data within your browser... not the combined efforts of multiple threads being altered (dropping the top 10% and bottom 30% of the results) and added together, all through a plugin that isn't suited for the task. If you'd like to multithread with TMN, I offer that as well. Try the multithread speed test. TMN's multithread test gives you the option to select from an array of servers. Allowing you to test across multiple routes, to more than one server at a time. TestMy.net is the only Internet speed test with this ability. So THAT'S why your results differ. -- TestMy.net is a harder test to ace and a lot less forgiving than other speed tests. But isn't that what a benchmark should be? Another thing to consider is if you're running windows, particularly if it's older than Windows 7 you may need to tune your TCP stack to see your full speeds. Windows doesn't always come out of the box optimized for fast connections. Flash based speed tests fail to detect this problem. To make this change for free I recommend TCP Optimizer. This makes changing those settings very easy and nearly fool proof. Just open it, slide the bar over to your speed that you're supposed to have, check "modify all adapters" ...apply the settings and reboot. You should have faster speeds after your re-test if that was the problem. Here's an outside source talking about exactly this issue, I'll hunt down more examples. >> Download Speed Test - Something fishy? At times I'll use there service for a server as close to me as possible , so i can isolate the issue a bit more , true enough , thier closest server generally gives me very close results to yours here at tmn , imagine that. edit: And that is a 1200 mile difference, let alone a non flash based test. I also have the 50/5 service. But I regularly see 50-120mbps down from other flash driven sites, but I know that is false. Wish I could pull 100mbps+, but that is just a dream. Thanks for all your hard work CA3LE! Thanks for the testimonial... keep visiting! Very nice testimonial... your charts clearly display where the problem happened. Looks to me like... about April 13th... Funny thing is, your upload sped up at the same time your download decreased. I use many speed test sites. Testmy.net is by far the most " real time " results you are going to find. Other flash based speedtest sites , aka speedtest,net show your absolute best connection speed with a huge overhead buffer. 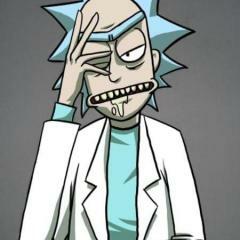 That is considering NOONE around you is using the internet and you are the ONLY one online that day on your node lol.. If you want accurate, right now speed test results, i use testmy.net. I want to know my connection speeds in real life, not what they possibly can be in absolutely optimal conditions ( again due to the overhead) . and yet you have a 70 mbs results from testmy.net when im pretty sure i saw that your on a 50 mb connection? ... I also have scores that are only a few kB/s in the database --- never trust my scores out of the database, unless I post a single score... It's part of my development process. And my server is like 1400 miles away from me. Alot of times you cannot choose the closest server on speedtest.net. If i choose Tampa, which is 50 miles away, or Miami, or ANY of the close servers ; i get a 1/4th of my speed. But if i choose Atlanta GA , 900 miles away, or Huston TX , or any of Texas for that matter, i get top speeds Go figure. Yeah, who cares about what your line is capable of. Don't people already know that when they order their service. I didn't originally build this site to be used by anyone except myself... it was part of my 'toolbox'. A way for me to ensure that when I left a customers house they were getting what they paid for. ... I wouldn't build or use a tool didn't serve it's purpose. (that goes for any tool) I'm not a cable installer anymore but I'm my own biggest user of the service. Many of the features the site now has came from my own need for that service. My point is... this site is a tool, not a novelty. I'm happy and humbled that so many people have chosen my site over the years. Thanks to all the TMN supporters. speedtest doesn't usually pull accurate numbers for me.. take now for instance i'm having pretty big local issues here modem keeps dropping out, signals are bad. Thanks for the info, helps prove my point. Not much difference. I never get 1 meg up.. Yes , it's terrible when you connections is " sucking " , in light of ???? Also listeing to StreamTheWorld Radio..KKATAM..Salt Lake City.. at the time of test..
You results really are constant slowfreddy, what is it again that your connection package should supply ? AT&T Uverse Max pro upto 18 Mbps down....Dont know what the upload suppose to be, funny huh? never get over 950 Kbps. Called this Morning and they said 1.5 up..but I never get close to that speed, not even 1 Mbs..but they did give me the promo Of 39.95$ a month for a Year.. thats from the 53$.. it will go back to 53$ a month in a year. NICE! Yes i see that. Why don't you start a thread in the making it faster section, so we can get more personalized assistance , and get your connections properly set to achieve the best results we can , with what we have to work with. Because honestly , you should be reaching on average , at least 768 up , with a 1Mb connection. 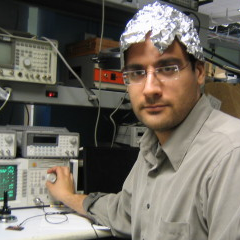 Post your modem / router model , and the information you just did here , ( for posterity ) , what operating system your running , and any other information you think will help , I'm sure there will be quite a few people here , in there own specialties that are more then willing to get things tweaked with you. In fact most people here are waiting to dig in and help to get the most of your connection.